This week, I had a cake and a breakfast dish for you, now it’s time for an appetizer! A dip, to be more specific. This dip is very simple, incredibly delicious, and perfect for a casual family night. It’s creamy, cheesy and loaded with chopped shrimp. We had a tough work week around here, I won’t go into any specifics but we needed some time to relax a have a little fun. Hubby invited his friend over and decided to order us pizza. Day off from cooking! I like it when he invites his friends over because they are so appreciative of my cooking. I think hubby is a little spoiled with the great meals and doesn’t make as many yummy noise as his friends. How else is a cook supposed to know that she made something delicious without the yummy noise? So I decided to make something quick and easy for an appetizer. I really didn’t feel like having pizza, I wanted shrimp! You know how sometimes you go out to eat and some appetizers look so good, you just make a meal out of it? I do that all the time. I also make myself easy seafood when I don’t have to worry about anyone else’s dinner. Hubby doesn’t like seafood, so it was all mine….well his friend helped. I also got to try a new product while making this dip. I usually buy butter that comes in individual wrapped sticks but I was asked by Land O Lakes to try their new product and create a recipe for them. I love creating new recipes and you know that I don’t share any products with you I don’t like. 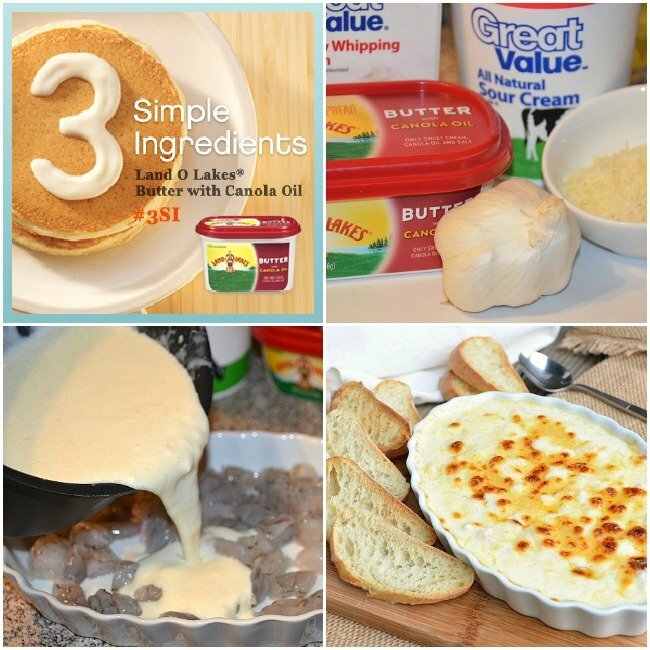 Land O Lakes® Butter with Canola Oil is made with only three simple ingredients: sweet cream, canola oil and salt. I love that fact, the less unknown ingredients, the better! Hubby especially liked this butter because it’s easily spreadable and tasty. He is a bagel and butter man and enjoys his pancakes as well. The fact that he didn’t have to wait for the butter to soften, was a plus for him. Melt butter in a small sauce pan over medium heat. Mince or grate garlic and add it to the butter. Saute until the garlic starts to brown. Whisk in flour until smooth. Whisk in heavy cream, sour cream, Parmesan cheese and a little bit of salt. Cook, stirring frequently, until the mixture just starts to boil. Take off heat. Cut the shrimp into small pieces and spread them in the baking dish of your choice. Pour the cream mixture over the shrimp and sprinkle with more Parmesan cheese. Alright guys, since you had to “listen” to me ramble, I will give you something in return! I got a great giveaway for you, it’s “Kitchen Simplifiers” Kit! This kit includes multi-purpose spreaders, an over-the-sink cutting board with colander, and multi-tier oven rack. You will love everything in this kit, I especially love the cutting board! Disclosure: I received product samples and a gift package from Land O’Lakes, including multi-purpose spreaders, a cutting board, and multi-tier oven rack from Land O Lakes® Butter with Canola Oil, for recipe development and review purposes. All opinions are my own. I like to cut up onions and green peppers ahead of time and freeze them, that way if I only need a bit I don’t have to worry about the rest spoiling. Great tip! I need to remember that, thank you! I like to freeze corn on the cob during the summer so we always have a taste of summer during the cold winter months. That’s great! Thank you and good luck! I’m just drooling! Pinning and sharing! It’s just my husband and me, so I like to make ahead and freeze. so easy after a work day! Smart! Thank you for stopping by and good luck! This looks absolutely heavenly. I love dips and could eat the for an entire meal =o) Thanks for this one. I make weekly meal plans, and shop a few days before the week, buy fresh meat for the next day meal. sometimes I double a recipe for example a new product I’m loving is spouted brown rice. It keeps well for days in fridge. One day I use it as a side dish, the next day might be stir fry or add it to soup etc. I also like to make smoothies with frozen fruit and blend it the night before and everyone has one next day for work snack, breakfast etc. I also purchased up first CSA share last year and have purchased one for this year as well. It’s a great thing to do for the family as you get fresh veggies (or if lucky where you live fruits too) each week. You may get something you haven’t used before or tried, so it gets you experimenting and trying new things. Also time saver for me is going to our butcher and getting meat packed in smaller amounts. OR getting two pounds of fresh ground beef from them and browsing all of it. Then dividing it up for half for that night supper meal and half for next night. I love when I have some of my meal ready, like the brown rice or the meat is cooked, then incase you don’t have a meal planned ( or change your mind) the possibilities are easier and quicker. Wow, so many great tips! I should try that rice too! It would make a great frozen snack too 🙂 Thank you and good luck! That looks delicious, Can’t wait to try it. 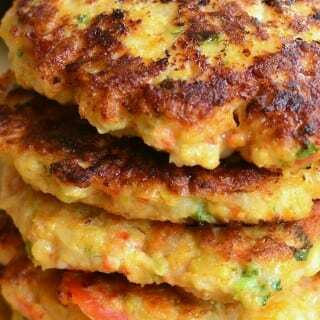 I am usually adventerous and will try new recipes, but once I love them, they stay in my repertoire! Always good to have a tried and true staple of recipes! This may be added to that list! Thank you very much. I agree, I love the old favorites too. 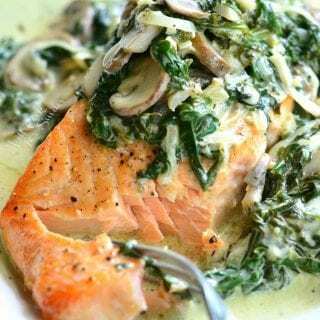 I always have a good set of basic fresh ingredients on hand–things that are easily combinable to create quick dinners! Agreed! Thank you and good luck! 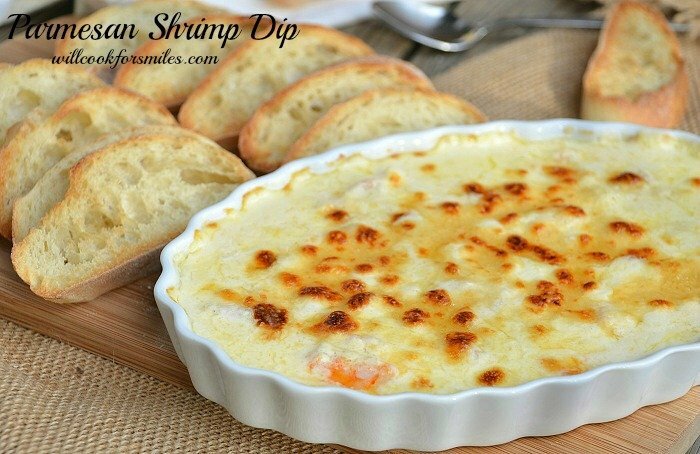 I love seafood and this dip reminds me of a crab dip I had at Phillips in Annapolis. I can’t wait to try it. Love your blog. The giveaway is great. I could use all the items…. 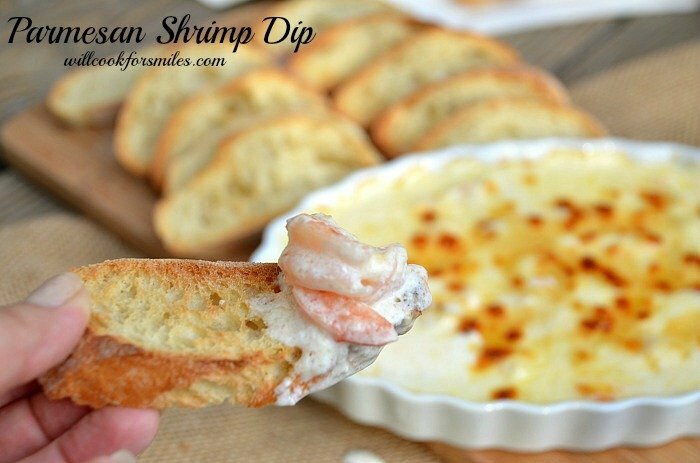 This shrimp dip looks and sounds delicious. My last guy didn’t like shrimp either, so now I can enjoy shrimp again, and this will be one of the ways to do so. I live alone, so I cook meals, then split them up into single servings and freeze, so when I do my long week at work, 7 days straight, I have easy meals to just reheat. Great idea 🙂 Thank you very much and good luck! I plan my meals out every week. I also decide what meals to have the night before and I also try and use the slow cooker as much as possible. Great blog! I find you so inspiring and cannot wait to try some of your recipes out!! Wow, that is so sweet! Thank you! I plan several weeks worth of menus at one time, mixing tried and true recipes with new ones. Then, when I got shopping, I pick two of the menus (hubby gets paid every 2 weeks!) and make my grocery list based on that. I plan which meals I’ll make when based on our schedule. I freeze leftovers in individual portions so we can all grab what we want on crazy nights or when I just need a break from cooking. Leftovers don’t become science experiments in the fridge and anyone wanting a quick meal has one. I make 2 or 3 different types of cookie dough, then flash freeze them in the portion I used to make the cookie. When we want fresh baked cookies, I pull out the number I need, bake them and we’re set in just a few minutes! Thank you for coming by and good luck! BTW, I love following your blog…you have some super recipes! This one is no exception! Iyuba! You succeeded in making me smile just with the pictures. Looks yummy! This looks great! I’m so glad I found you on Monday Funday. I like to prepare parts of dinner earlier in the day to make things run smoother when I get home from work and have too many other things to deal with over cutting carrots or seasoning meats. 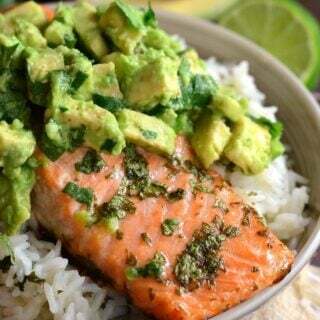 O yum!! My husband and I love shrimp! I’m going to pin this recipe! Thanks for sharing. Prepping veggies beforehand makes the actual cooking so much easier. Yummm… this looks and sounds delicious!! My favorite tip is to clean as you go. I find it so much easier as I’m getting meals ready to clean a knife, cutting board, pan, etc. quickly while it’s ‘fresh’ and not dried on, and then it’s nicer to sit down to a meal with half the clean-up already done! Thanks for the chance to win! I LOVE that cutting board/colander!!! I try to make meals easier by preparing my ingredients in advance. WOW. 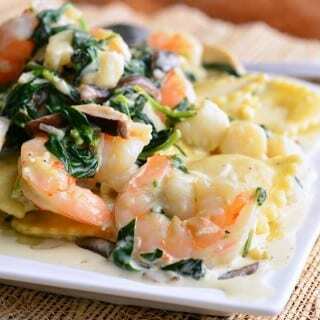 My husband will love this recipe as he is such a shrimp lover! And a cheese lover. And a dip lover. 🙂 Thanks for sharing! I will be making this very soon! 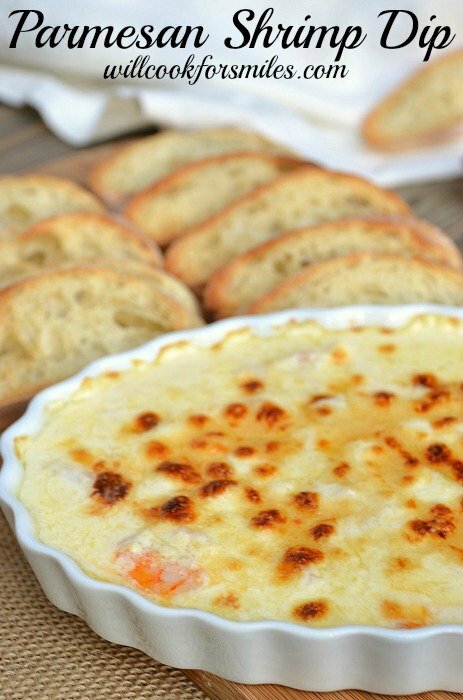 Parmesan shrimp dip looks absolutely scrumptious. Can’t wait to try. This looks great! I know it would get gobbled up quickly in our house! It’s very similar to a crab dip that we like. The slow cooker is my friend in the kitchen! I also will prep veggies for the entire week sometimes and that helps tons! Love the over the sink cutting board! Can’t wait to try this recipe. Two of my favs….Shrimp and Parmesan. We are going to just love this dip! Hope you are having a great weekend and thank you so much for sharing with Full Plate Thursday. I like to plan my week’s menu ahead of time, before I go grocery shopping so that I can maximize use of the ingredients on sale. Then, no vegetables or other foods go to waste or are forgotten. I made this, followed it to the letter and it was very runny. It did not come out like a dip, more like a creamy sauce. Was there a mistake in the recipe perhaps? I’m an intermediate home cook and rarely mess up recipes. The overall flavour profile was delicious tho! Thank you! Hi Lana, I’m sorry it came out runny. I would suggest adding a little extra cheese or a couple of table spoons of sour cream. Mine wasn’t too think but it wasn’t runny either. Try adding mozzarella may be, it will melts in better. If you like it thicker, add a couple of teaspoons of flour while melting the butter, to form a roux. I’m glad you liked the taste though!! Thank you for letting me know too! Such a gorgeous dip! Pinned and featuring tonight! I like shrimp,making this for dinner. 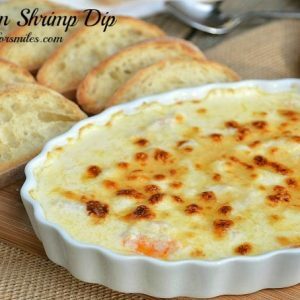 I like shrimp dip, is easy to making. Oh my goodness I cannot wait to try this!!! 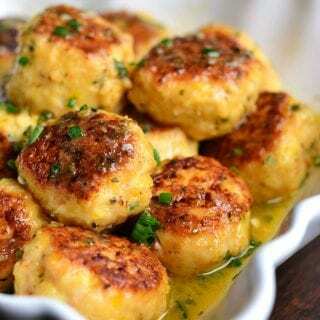 This sounds awesome…… I have fresh/now frozen shrimp from Biloxi, MS and will use that in this recipe. perfect for Sunday afternoon happy hour. In reading the recipe, do I use shredded parm or grated ? I believe, I used both for this recipe. I like to use fresh grated on top but you can use grated only or dry only. I think fresh brings more flavor to it. I made this dip yesterday. Great flavor 🙂 very delicious! I will try it again with cream cheese for a thicker consistency. I’m so glad you liked it! Yes, try using 4-5 oz. cream cheese to make it creamier and thicker. Thank you, Crystal! This would also be great with some sautéed crawfish tails and scallops mixed in, topped with melted mozzarella. 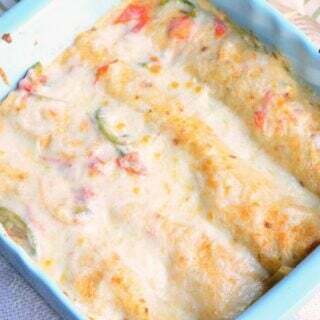 I will be trying this recipe very soon!